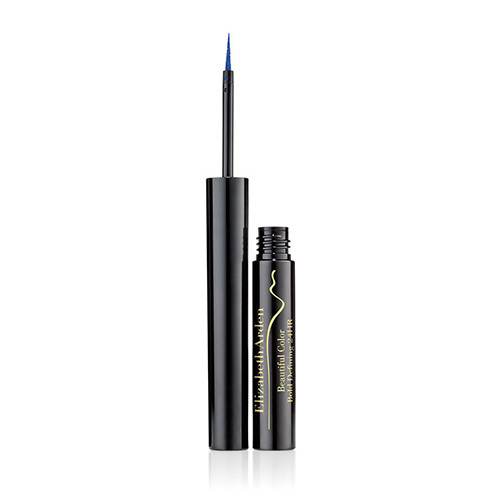 Its micro-fine applicator tip glides on with ease to create a precise, calligraphy-like look directly on the lash line. The applicator is ideal for creating a range of makeup looks from delicate every day or classic cat eye to high drama and runway-ready. The buildable formula is waterproof, smudge proof, transfer proof, sweat proof, and quick drying. Key Ingredients: Pigments: Micro-fine pigments deliver high impact color in a single application Resin and Filmogen Plymers: Coat pigments, giving high intensity color and long-lasting shine. Application and Use To achieve a classic, foolproof cat eye, rest the brush on your lash line and use short connecting strokes going along the lash line, getting thicker as you move along the eye from the middle to the end. For the perfect wing effect, look straight into the mirror and from the outside corner, draw a line going up. From the outside line, connect back to the line you made on the lash line and fill in the gaps. FULL SIZE: 1.7 ml PRICE: PHP 1300 AVAILABLE AT: Trinoma Shangri-la Plaza Mall Alabang Town Center Eastwood Mall SM Mall of Asia SM Makati Robinsons Place Manila SOCIAL MEDIA: Instagram: @elizabetharden_ph Facebook: Elizabeth Arden Online: BeautyMNL & Zalora PH Grab yours now at Sample Room!